The garden was installed in summer, 2012. 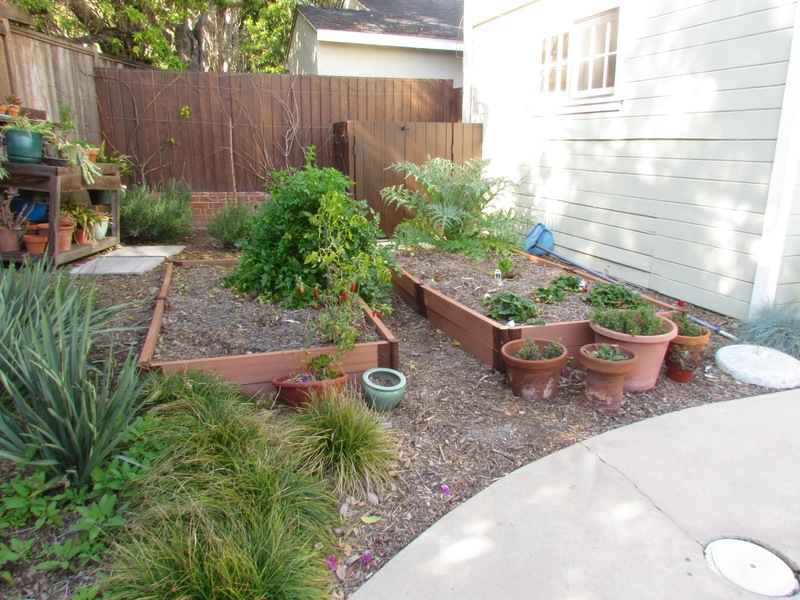 The homeowners wanted to make their backyard more attractive and useable so that they would spend more time in the garden. They also wanted to use less water for the plants and this included removing the large lawn from the front. They had a large brick patio that also needed to be redone. This garden transformed a flat, water thirsty lawn into a diverse and multifunctional landscape. 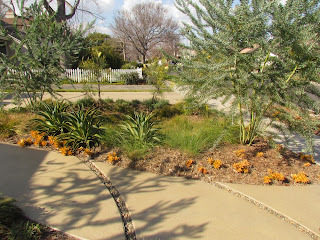 Berms and swales create interest and retain stormwater in the front. 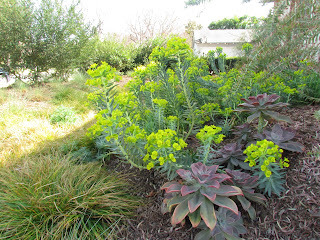 These areas are planted with native and drought tolerant species, selected for seasonal color and habitat value. 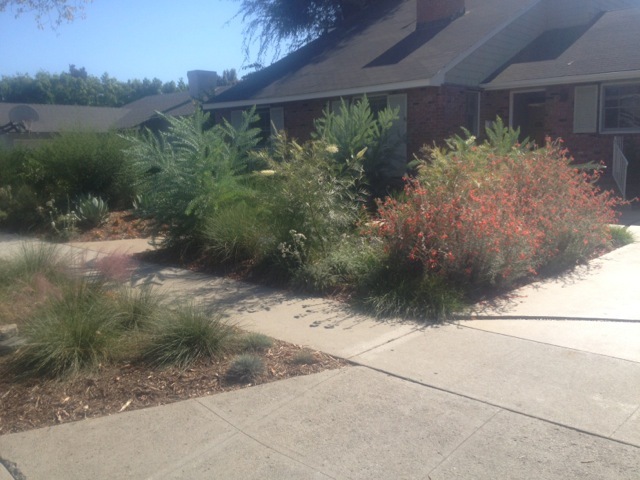 Herbs, vegetables and fruit trees are planted in the back along with California native specimen plants. Channels were added into new concrete and old brick was removed and replaced with gravel around the pool to permit water infiltration. The back brick patio was covered with a micro toping and stained to create a cleaner feel. Drip irrigation installed in the entire landscape reduced their water use despite all the new plants they added. Come by to see the garden! 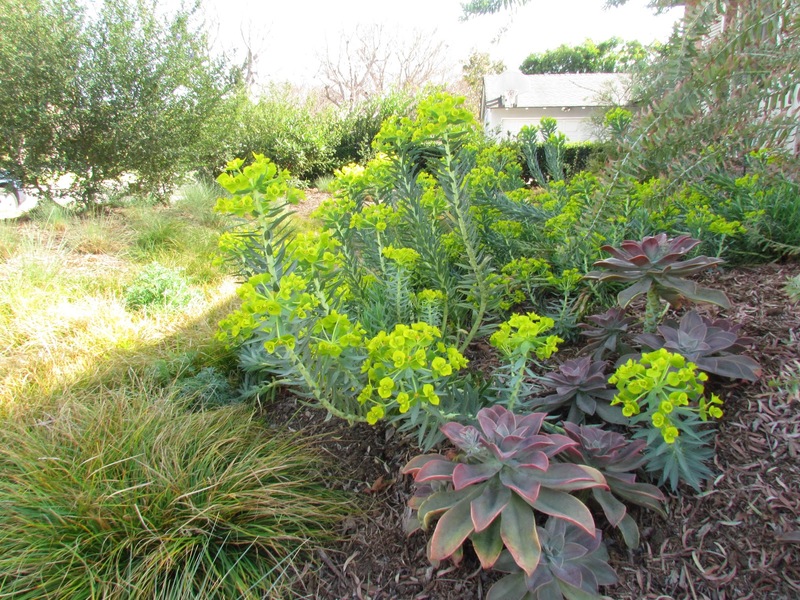 Contractor Tom Stout (Stout Landscape Design:Build) or landscape architect Gabrielle Fladd will be availible durng the day to answer questions and will provide a plant list for anyone interested.